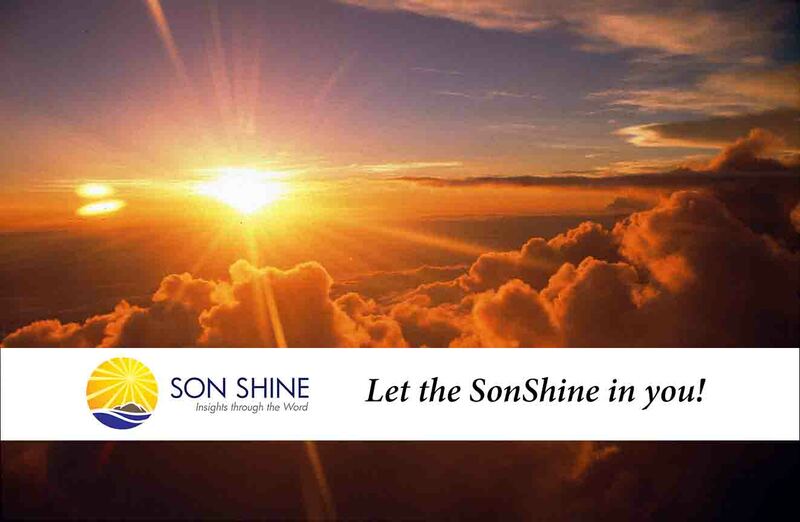 Son Shine is based on the personal experiences of the writer and those of people known to him. Over time, there have been suggestions from various subscribers within and outside Nigeria of the need to publish the editions of Son Shine either in book form, as devotionals or through the web, in order to enable a wider audience access to its contents. SON SHINE 773: HAPPY She sat expectant, rousing from a position at the dinning, as the door flung open.